Sicomin is a leading French formulator and manufacturer of advanced epoxy systems. The company is investing considerable resource and expense into innovating and supplying new, environmentally enhanced green epoxy systems derived from natural origins. Hence they are a key part of the exhibition on bio based materials and products at the GRV Showcase at ISPO 2019- Hall A4, CSR hub. With Sicomin’s bio resin range, the company has firmly established itself as the leading formulator and supplier of bio-based epoxy systems in industrial quantities. Sicomin believes strongly in the development of sustainable composite materials. 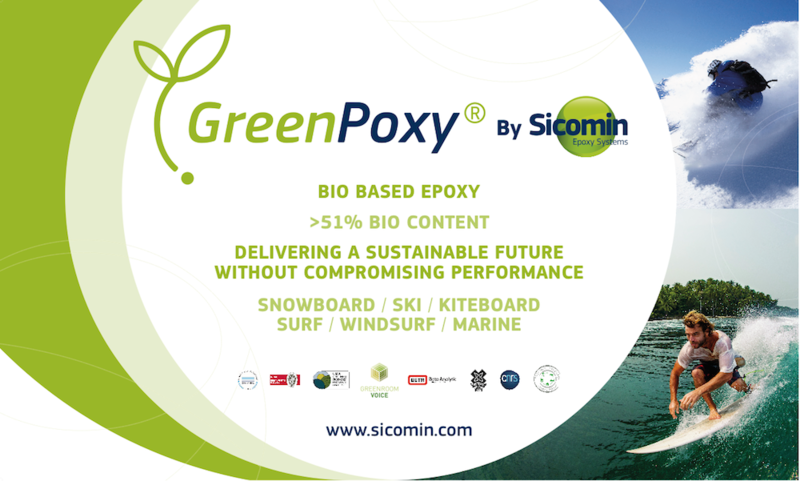 Sicomin’s GreenPoxy™ products are widely used in a variety of markets such as marine structures, leisure and electric vehicles. From Sicomin’s state of the art facility in Southern France they formulate highly specialised, custom made epoxies and off the shelf solutions. Thanks to their efficient distribution network, they can deliver their products anywhere in the world and they have supply links with the Aerospace, Defence, Marine, Renewable Energy and Civil Engineering markets throughout Europe, the USA and Asia. In 2018, Sicomin received the ECOBOARD Project Gold Level qualification for its entire range of bio-based epoxy resins. In 2019, Sicomin is also very proud to introduce the latest certification on footprint progress by Veritas. This is a really important step towards more sustainable products. Sicomin have been awarded the Bureau Veritas Footprint Progress® Certification for their GreenPoxy® products range. The Footprint Progress® is a result driven certification that enables Sicomin to inform contractors and customers about their products‘ environmental impact throughout the product lifecycle. The certification proves that Sicomin’s bio-based epoxy systems are eco-designed and have limited environmental impact compared to standard epoxy formulation. The Footprint Progress® process consists of two levels: commitment to eco-design and product certification. After an intense three-year audit program in accordance with international standards such as ISO 14062, ISO 14006 and EN ISO 14040/44 Sicomin’s GreenPoxy® products have been certified, which allows the company to display the official, widely recognised Footprint Progress® logo on their Greenpoxy® range. This logo is issued by Bureau Veritas, a leader in certification of Environmental Management Systems accredited by over 60 bodies internationally. • GreenPoxy® 56, a clear and waterproof epoxy system which contains over 52% plant and vegetable content, for tough and hard-wearing gloss laminates. It is suitable for laminating, injection moulding, filament winding, press processes and casting. • GreenPoxy® 33, a clear laminate with high mechanical properties which has over 35% plant content. As a result of the latest innovations in bio-based chemistry, GreenPoxy 33 is able to achieve excellent wetting out properties, resulting in very low resin consumption. • GreenPoxy® 28, a clear laminate with mechanical properties which has 28 % of its molecular structure deriving from plant origin. As a result of the latest innovations in bio-chemistry, this epoxy resin system is developed for tools and parts resistant to temperatures. “The Bureau Veritas certification shows that Sicomin’s eco-design strategy is successful and that bio-based epoxy chemistry can be on today’s industrialists’ agenda. We will continue to apply our certified eco-design approach on all new products and, when possible, will redesign existing products to further reduce our impact on the environment compared to conventional epoxy production.” comments Philippe Marcovich, President, Sicomin. 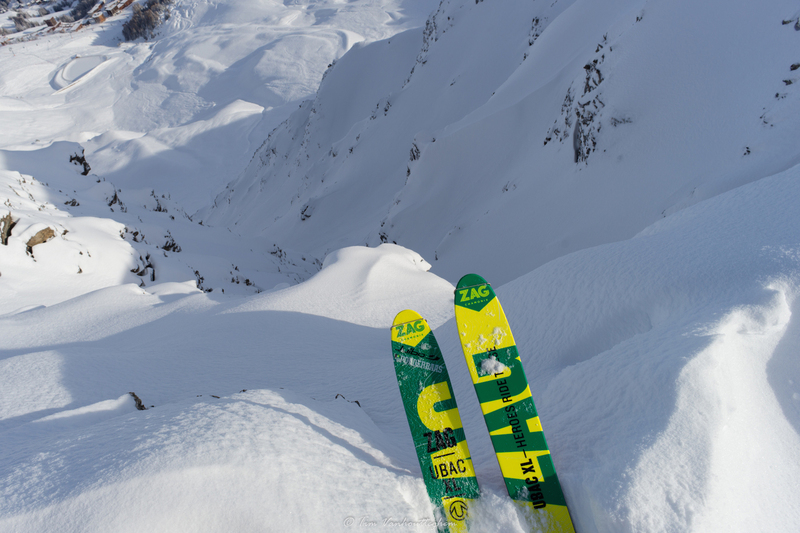 Amongs other markets, Sicomin supplies materials to numerous ski, windsurfing, surf and kite board manufacturers who are seeking exceptional performance levels from their equipment. Its range of epoxies for carbon and glass are used to provide remarkable mechanical and fatigue strengths in a range of applications and are used extensively by many of Europe’s tops sports and leisure manufacturers.